These articles are scanned and OCRed from old editions of the The Saturday Evening Post magazine. 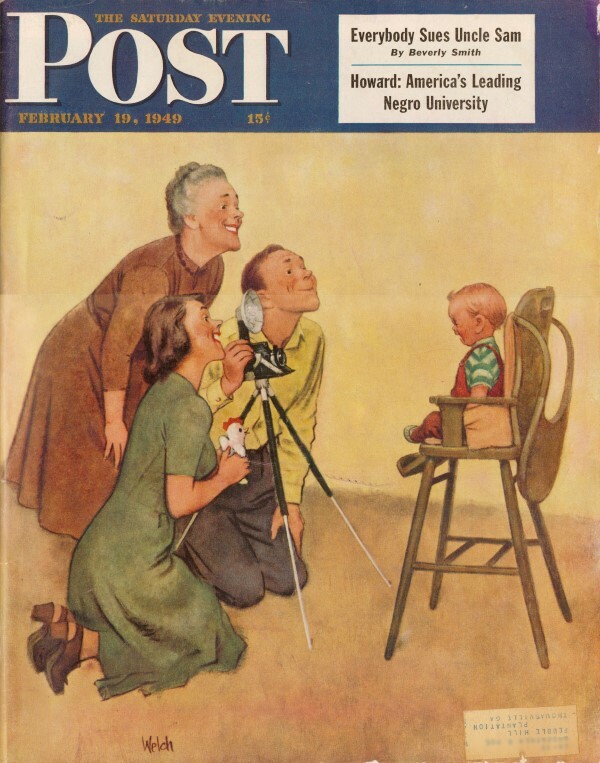 Here is a list of the The Saturday Evening Post articles I have already posted. As time permits, I will be glad to scan articles for you. All copyrights (if any) are hereby acknowledged. 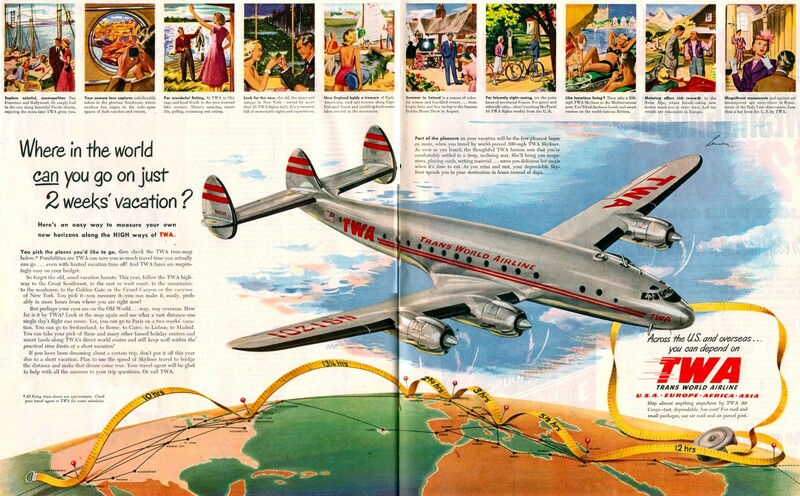 It wasn't until the mid 1930s, thanks largely to Douglas Aircraft's DC-3, that the public began taking to the airways in large numbers. It was a combination of trust in a rugged, proven airframe and the low (relatively) operating cost of operating the aircraft that made passenger travel affordable. 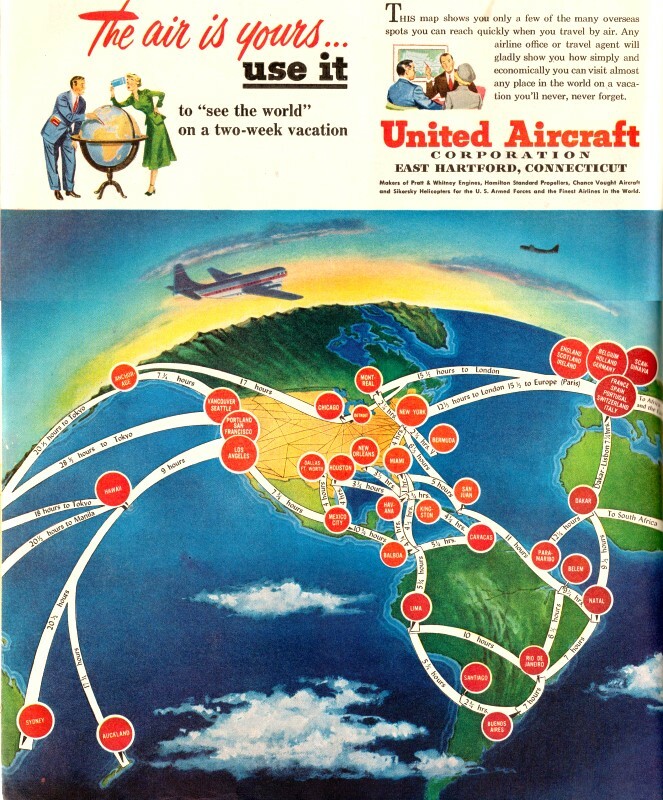 By 1949, when these advertisements appeared in The Saturday Evening Post, the airline industry was in full swing worldwide. 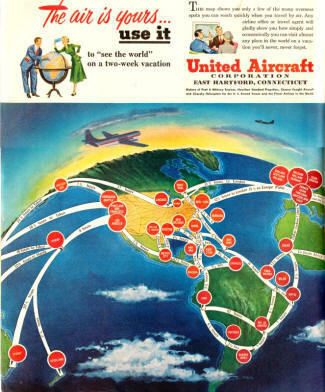 Successful jet airliners were still a few years off, as evidenced by all the airplanes in the ads being propeller driven. De Havilland's Comet claiming the title of 'first' in that realm, but the in-air breakup of many due to window failures soured the public on jetliners. Boeing's 707 restored the trust and went on to become the first 'successful' commercial jet airliner.